this project, keggin-type polyoxometalate, cationic exchange Q5PMoV2O40 (denoted as TBA-PMoV) was synthesized to produce a recoverable catalyst. This catalyst was characterized using X-ray diffraction (XRD), Fourier-transform infrared spectroscopy (FT-IR), Field Emission scanning electron microscopy (FESEM) and UV-vis diffuse reflectance spectroscopy (UV-DRS). 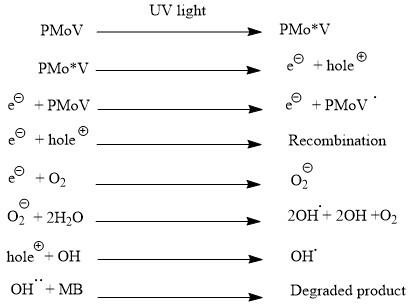 The synthesized catalyst showed high photocatalytic activity in the degradation of methylene blue as a pollutant under UV light irradiation. The effect of various factors such as catalyst amount, contact time and pH on degradation of methylene blue (denoted as MB) were investigated. 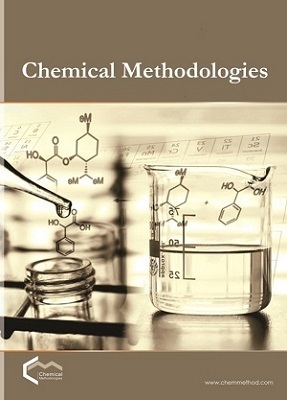 Formal batch adsorption studies was applied for investigation of effects of various parameters, such as initial solution pH, initial dye concentration, catalyst amount, temperature, etc. Optimization results for 20 mg/L methylene blue showed that maximum degradation efficiency 96.8 % at the optimum conditions was found to be: catalyst amount 25 mg, pH= 7.6 and time 60 min at ambient pressure and temperature.